For those who travel or who have friends/ family who travel, buying the usual gifts such as luggage, neck pillows etc. can be expensive and sometimes left unused. Here are some gift ideas that are offered as shopping deals on homeware and travel websites. Coffee or tea – Coffee or tea from around the world is a wonderful gift. You can look for tea blends from Morocco, China, Sri Lanka, India and South Africa. While for coffee lovers look for coffees from Costa Rica, Colombia, Ethiopia and Indonesia. Coffee table books – Travelers will love coffee table books with pictures and descriptions of places they should visit. These books will include vacation ideas sorted by themes such as road trips, gourmet adventures, and pilgrimages. Coasters – Coasters are great for travelers as they can include the world map, places, food, and people. Travel calendar – An old fashion paper calendar can sometimes be the best inspiration a traveler needs to plan future vacations. You can also buy calendars specifically designed for travelers who love trekking, hiking, swimming or bike riding. Vintage travel posters – A unique piece of art featuring a specific travel location is great as a keepsake gift. 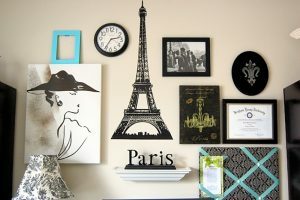 Picture frames – To hold your travel memories, give a gift of a set of photo frames that can be used as a collage. Look for travel themed frames that include iconic buildings, places, and art. Shop online for special travel-related gift ideas that can be personalized to suit your occasion. Costbuys is an online store where customers can order the products they know and use every day at amazing prices with free worldwide shipping. The next time you shop online from them.